Every business needs printed materials – even if it is just business cards. Come to us for a website, we can easily do a brochure design. Or let us develop a full set of sales materials that takes your website branding and extends it to pieces you can hand out or mail to prospective customers. With every print project you get the full benefit of our marketing expertise and know-how. All of your marketing and sales materials – even customer service items – should have the same look and feel. We take care to make sure that all of your materials work together to create the right impression on your prospects, to bring them from awareness, to interest, to trust, to signed, paid and delivered. Not only can we design what you need, we can also help get the materials printed and your ads placed where they need to be. You don’t need different vendors – we can be your whole marketing department. 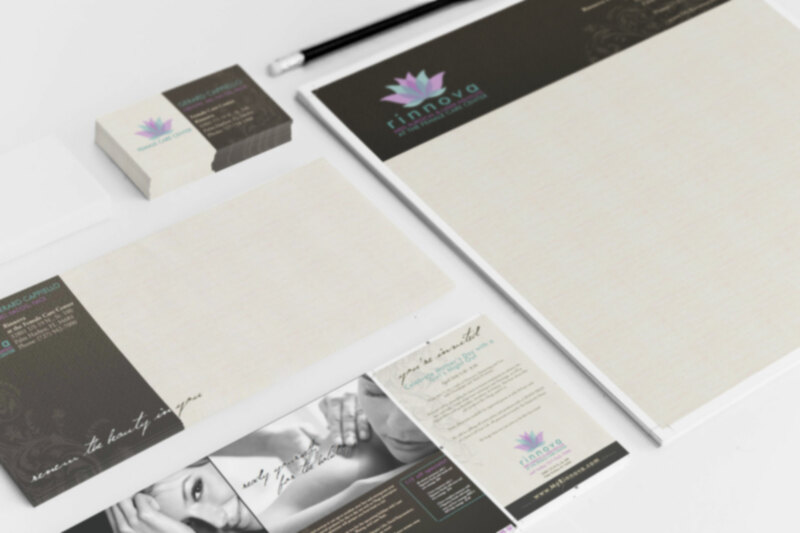 Our full range of expert print design services includes ads, brochures, postcards, sell sheets, presentation folders, billboards and corporate identity materials such as business cards, letterhead and envelopes. thirteen05 creative can design or upgrade your logo and produce effective copywriting. Our focus is always to generate a bigger audience for your company and make sure you are prepared when they come your way. Let us do that for your print design as well as online. Make us your one-stop shop for all your marketing requirements.